follow url Valerie Ross received her doctorate from the University of Wisconsin-Milwaukee in English and Modern Studies, and has published and presented in the fields of writing studies, biography, critical theory, cultural studies, and nineteenth-century American literature. Her current research interests include cinema and rhetoric. Before joining Penn, Dr. Ross was an Assistant Professor of English at Miami University. She directs the Critical Writing Program for the Center for Programs in Contemporary Writing. drugs like viagra and cialis work by rihanna Joe Moxley is Publisher and Executive Editor for Writing Commons. 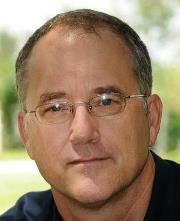 A professor of English and Director of Composition at the University of South Florida, Moxley has published books, book chapters, and essays on Creative Writing Pedagogy, Academic Writing, Scholarly Publishing, Electronic Theses and Dissertations, Qualitative Research Methods, Assessment, and Learning Communities. Moxley’s most recent book is Agency in the Age of Peer Production (NCTE 2012) with Quentin Vieregge, Kyle Stedman, and Taylor Mitchell. http://smartmobilead.com/?search=order-generic-viagra-tablets David A. Eubanks is Associate Dean of Faculty for Institutional Research and Assessment at Eckerd College, and holds a PhD in Mathematics from Southern Illinois University-Carbondale. His long evolution from math professor to administrator led through information technology and library management, accreditation, and faculty development. Happily, his day-to-day work and research interests overlap in the areas of assessment epistemology and predictive modeling of things that colleges can measure. This extends more speculatively to the limitations of intelligence, particularly the kind that emerges from committees. find generic viagra no prescription Alaina Tackitt is a candidate for the Ph.D. in English, Rhetoric and Composition at the University of South Florida; her academic areas of interest are adult learners in composition and writing assessment, and she teaches composition and coordinates Faculty Writing Services for Eckerd College, PEL. follow Suzanne Lane is Senior Lecturer in Rhetoric and Communication, and Director of the Writing, Rhetoric, and Professional Communication (WRAP) program. She holds a bachelor’s degree in Chemical Engineering from MIT, a master’s in Creative Writing from the University of Colorado, and a doctorate in English from the University of Massachusetts, Amherst. Her research interests focus on contemporary rhetoric, genre theory, and argumentation studies, and she is particularly interested in sites of cultural contact between discourse communities and rhetorical cultures. In one research project, she has studied the rhetoric of slavery, especially the cultural forms of argumentation slaves developed; in another project, working with the Harvard Study of Undergraduate Writing, she has explored how students learn disciplinary-specific genres and forms of argumentation, and transfer them to new locations. She has also published fiction and poetry. go here Christiane Donahue has been a writing program administrator in one form or another since 1992 in the United States. At the same time, she has pursued scholarship, including her PhD in Linguistics, in France. Her work with French research laboratory THEODILE (Théorie-Didactique de la Lecture-Ecriture) at l’Université de Lille III and her participation in multiple European research projects, networks, conferences and collaborations informs her understanding of writing instruction, research, and program development in European contexts. She is Director of the Institute for Writing and Rhetoric at Dartmouth, Hanover, NH, USA, where she teaches writing and focuses on research about writing, translingualism, cross-cultural comparisons, and research methods. see Kate Pantelides teaches in the Written Communication program at Eastern Michigan University and is the incoming Associate Director of the First Year Writing Program. Her work addresses Writing Program Administration, Graduate Writing Practices, and Genre Studies. Most recently, her work has appeared in College Communication and Composition, Composition Studies, and Computers and Composition: An International Journal.